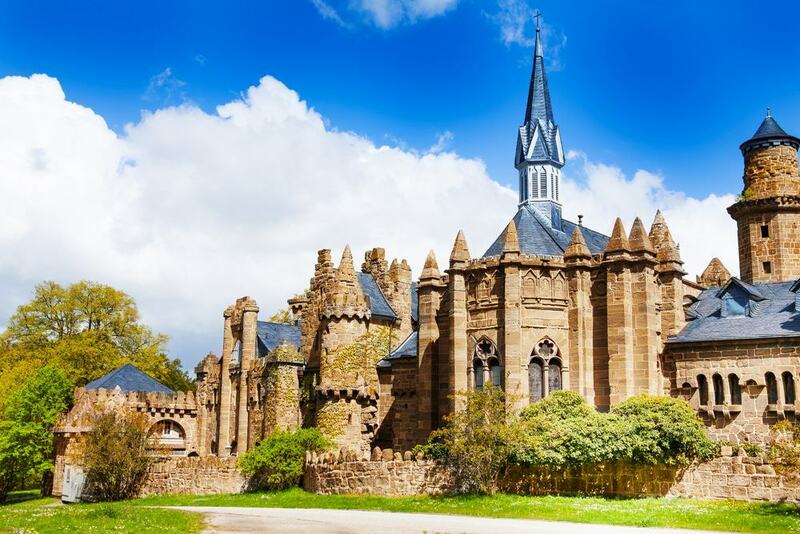 Home of the Brothers Grimm, Kassel shines with the wealth of the Hessian Landgraves and Electors who gave the city two of Europe’s greatest gardens. 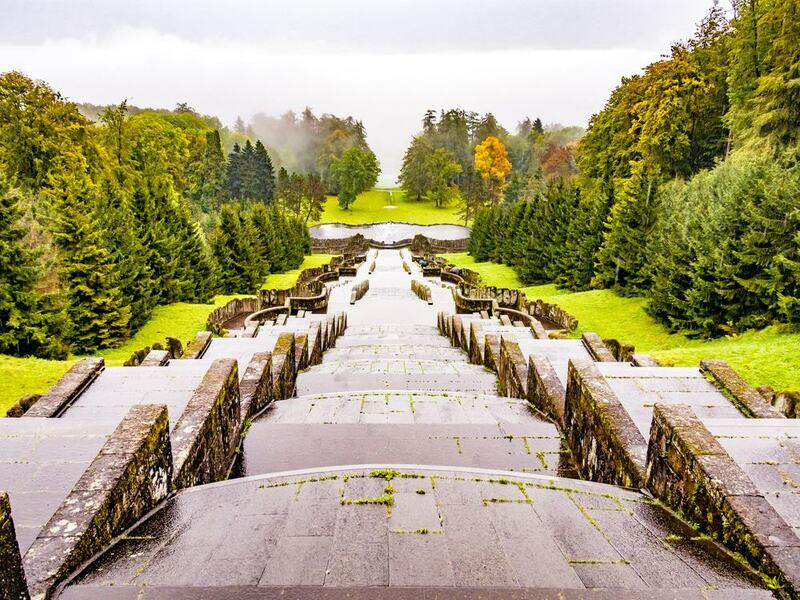 In the west is the Bergpark Wilhelmshöhe, a UNESCO World Heritage Site. Sprinkled on a hillside are Romantic ruins, a Neoclassical palace with a gallery of Old Masters, magical water features and an 18th-century statue of Hercules that has become the postcard image of the city. Then on the same axis on the east side of Kassel is a Baroque park and palace, where there’s a fabulous marble bathhouse and a collection of centuries-old scientific instruments. 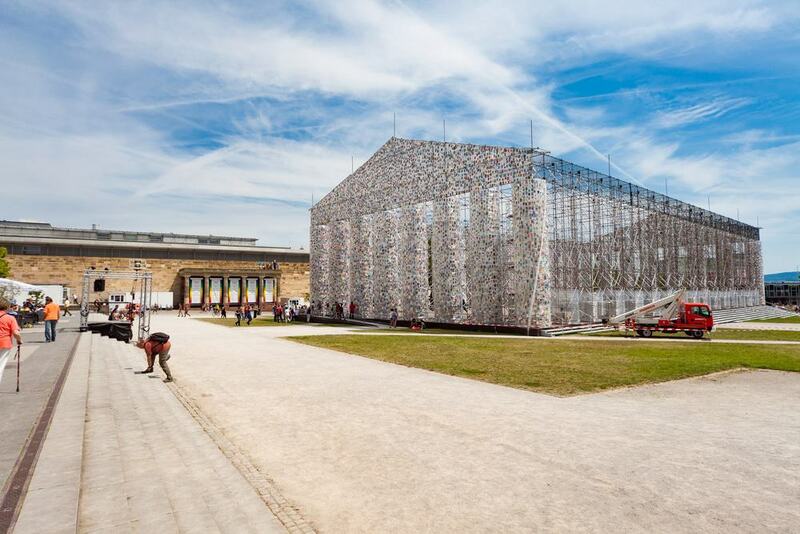 Since the 1950s Kassel has been at the vanguard of the contemporary art scene, staging “documenta”, a world-renowned art show for 100 days every five years. A UNESCO World Heritage Site since 2013, the Bergpark Wilhelmshöhe is the largest hillside park in Europe, covering 240 hectares on Karlsberg. At the end of the 17th century there was a French formal garden in front of Schloss Wilhelmshöhe. Over the next 150 years this was reworked in the English style and embellished with imaginative monuments in line with the Romantic ideals. Many are included in this list as they’re attractions in their own right. 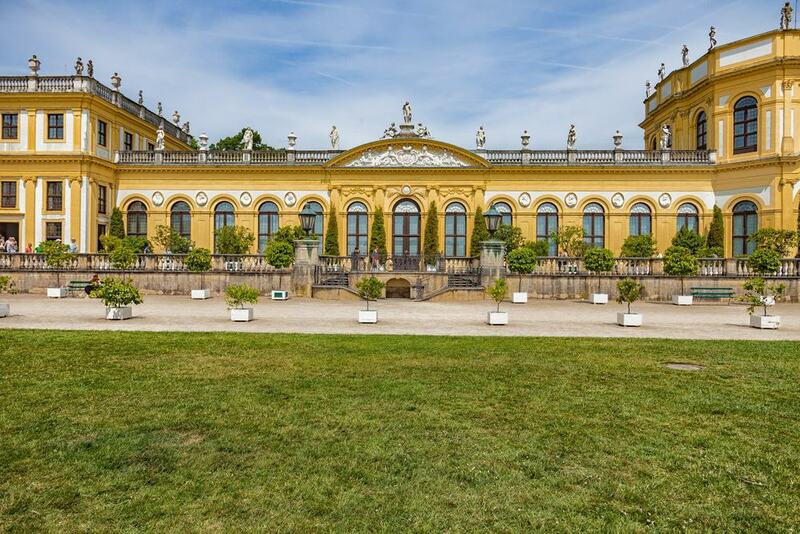 Some of the palatial monuments to track down include the Ballhaus, built in the early 1800s by Jérôme Bonaparte, Napoleon’s younger brother, and the Große Gewächshaus, Great Greenhouse, erected in 1822 and open from October to May. 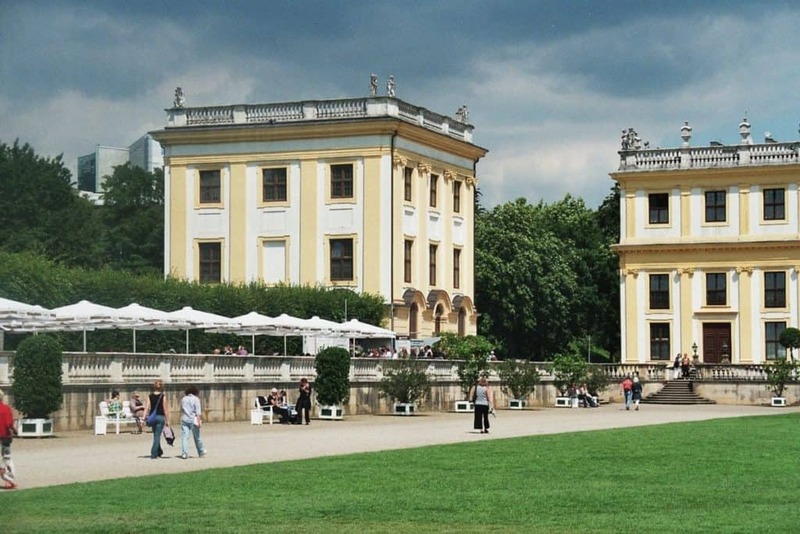 The Neoclassical palace on the east side of the park was constructed at the end of the 18th century for Landgrave William IX of Hesse and was a favourite summer retreat of Germany’s last Emperor Kaiser Wilhelm II between 1888 and 1918. It now holds a collection of antiquities, and the Gemäldegalerie Alte Meister (Painting Gallery of the Old Masters). The latter has a jaw-dropping array of paintings by Rembrandt, Rubens, Albrecht Dürer, Lucas Cranach the Elder, Poussin, Titian, van Dyck, Jacob Jordaens, Frans Hals, Jan Brueghel the Elder and Caravaggio. The collection was mostly put together by one man, William VIII, Landgrave of Hesse-Kassel in the first half of the 18th century. One of the most photogenic sights in the Bergpark is the 250-metre water cascade on the alley from the summit of Karslberg. This springs to life every Wednesday and Sunday at 14:30 from May to October. The mechanisms used are the same as in the days of the Margraves and Electors. The show continues at a waterfall beneath the Teufelsbrücke (Devil’s Bridge) and another stunning waterfall that flows from what looks like the ruins of a Roman aqueduct. The display is brought to a dramatic conclusion at the artificial pond close to Schloss Wilhelmshöhe where at 15:45 a fountain shoots a water jet more than 50 metres into the air. The summit of the Karlsberg at the northernmost point of the park is topped with a statue of Hercules that has been here since 1717. The monument was carved across 16 years by the Italian sculptor Giovanni Francesco Guerniero. 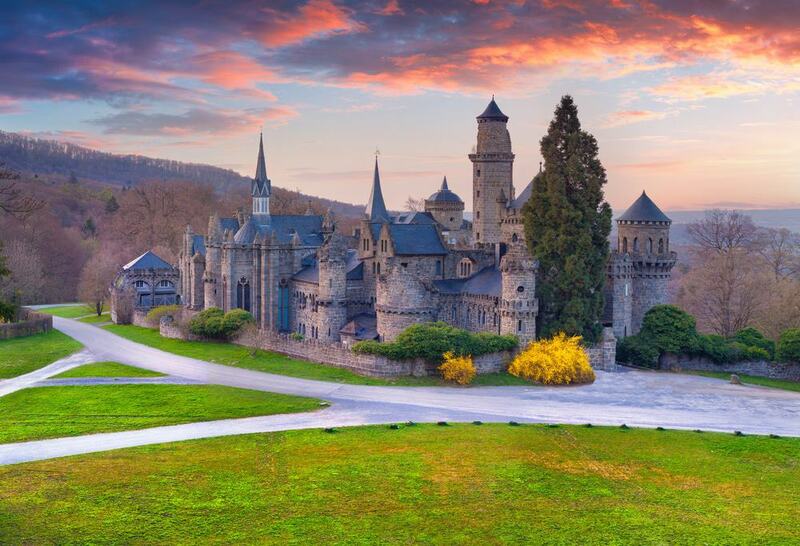 It can be a bit of a challenge, but after conquering the 200 steps to the summit of the hill you’ll be treated to a sensational view of Kassel, right down the cascade, along the alley which continues through the city in a straight line beyond Schloss Wilhelmshöhe. Hercules stands on a pyramid, which in turn sits on top of an octagon. The combined structure rises to 71 metres and there’s an observation platform on the octagon where you can contemplate the Nordhessische Mittelgebirge mountain range in the distance. 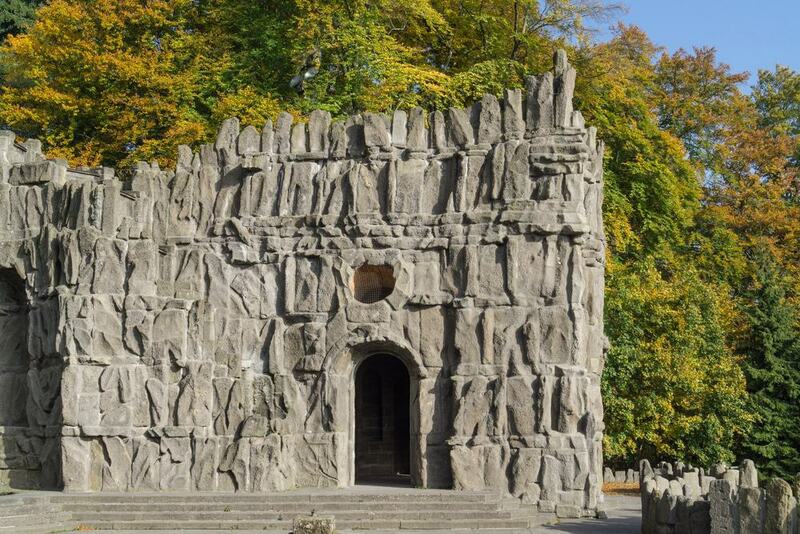 One of the sights in Bergpark Wilhelmshöhe is what looks like a medieval castle in ruins. Löwenburg was built between 1793 and 1801 in a Scottish style. It was inspired by the Scottish Ossian cycle of epic poems, which was all the rage in the Romantic period. Löwenburg was ordered by Landgrave William I of Hesse-Kassel and as a pleasure palace was adorned with the richest finery of the day. There’s still a splendid collection of painting, tapestry, furniture, glassware, bronze, armour, ceremonial weapons, as well as medieval stained glass. That armoury is included in the guided tour, along with the Landgrave’s apartments and the palace’s chapel. 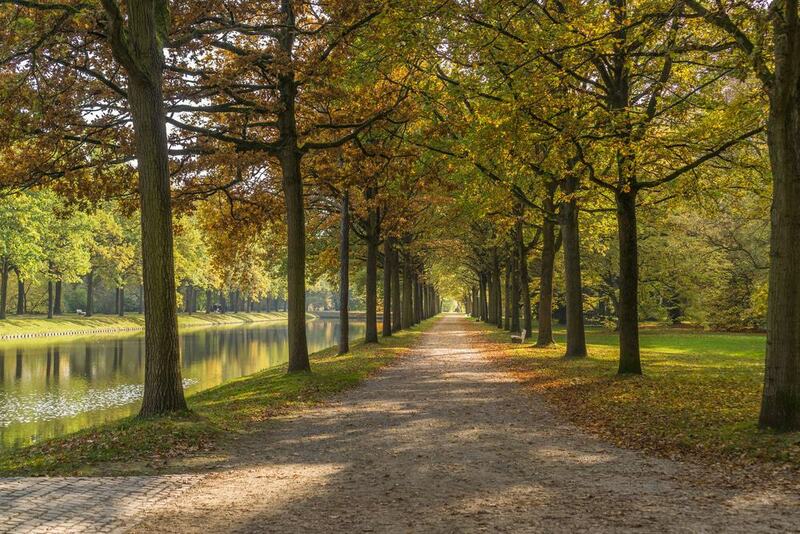 On the easternmost point of the Wilhelmshöher Allee is another noble park, this one laid out for Charles I, Landgrave of Hesse-Kassel at the beginning of the 18th century. Being earlier than Bergpark Wilhelmshöhe, the Karlsaue has a formal design. The pond, Aueteich has a symmetrical shape and the canals and central alley all converge at a spacious lawn in the north, in front of Charles’ palace, the Orangerie. A real highlight is the Siebenbergen island, in the Aueteich at the southernmost point of the park. 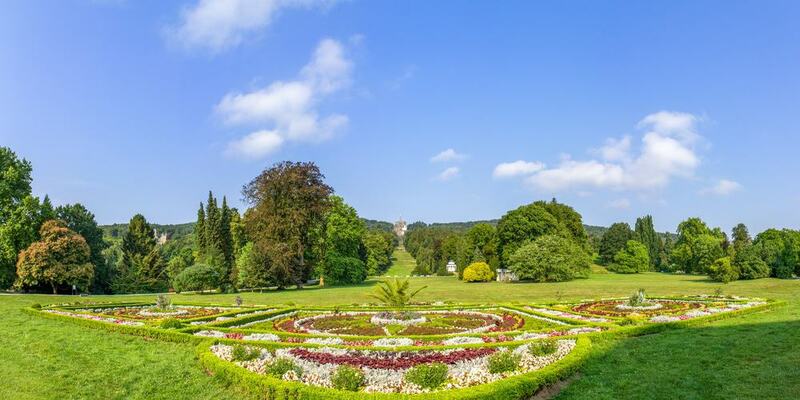 This was planted with botanical flowerbeds and a small arboretum at the start of the 18th century and was updated by the court gardener Wilhelm Hentze in 1822. Charles I’s palace in the Karlsaue was intended as both a summer escape and somewhere to winter his collection of Mediterranean plants. Atop the balustrade and the roof of the palace’s avant-corps are classical-style statues of figures from ancient mythology from the middle of the 18th century. The central building holds the Astronomisch-Physikalisches Kabinett, a trove of clocks, microscopes, astronomical instruments, adding machines and navigational instruments dating from the end of the 16th century to 1900. The largest planetarium in Hesse is also attached to the Orangerie and fits audiences of 50 beneath its 10-metre dome. In the Orangerie’s western pavilion is a sumptuous bathhouse created in the 1720s for Charles I. The Marmorbad is the last of its kind in Germany and is seen as a masterpiece of Late Baroque design, furnished with one of the most splendid 18th-century sculptural ensembles north of the Alps. The sculpture and decoration was composed by the French-Italian sculptor Pierre-Étienne Monnot. There are 12 life-sized marble statues and 10 wall reliefs evoking the Metamorphoses by the Roman poet Ovid. The bathhouse also has medallions with portraits of the Landgrave and his wife Maria Amalia of Courland who had died earlier that century. You can’t have a list about Kassel without mentioning this internationally renowned contemporary art show, often described as the “Museum of 100 Days”. The show takes place once every five years, which means that the next edition won’t take place until 2022. 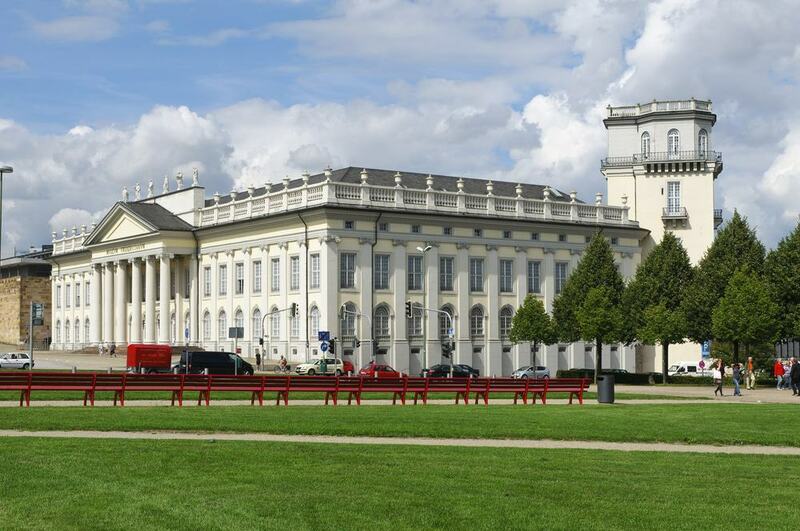 As a way of making up for the culturally barren years under National Socialism, documenta was founded when Kassel hosted the Bundesgartenschau (Federal Garden Show) in 1955. That year Picasso and Kandinsky were invited to produce works for the show. The most recent show, documenta 14 had contributions by performance artists like Katalin Ladik and Tracey Rose, environmental artist Bonita Ely and installation artist Hans Haacke. The Fridericianum close to the Orangerie is the base for documenta, but spaces are used around the city, including Schloss Wilhelmshöhe and the Karlsaue. After selling Hessian soldiers to the British during the American Revolutionary War, Frederick II, Landgrave of Hesse-Kassel used the proceeds to build the first public museum building on the European continent. This Neoclassical palace contained the art and scientific instruments that have since been moved to Schloss Wilhelmshöhe and the Orangerie. After 1913 the Fridericanium became the state library, and was heavily damaged during air raids in 1941 and 1943. It was resurrected as an art space by documenta in 1955, and since 1988 has started holding temporary exhibitions in between each edition. In the last few years there have been retrospectives for experimental filmmaker Paul Sharits and the Belgian conceptual artist Marcel Broodthaers. On the reflective side is this museum all about how people commemorate death. The main exhibition charts the history of death and burials from the middle ages to the present. And a riveting if sombre collection of coffins, gravestones, shrouds, carriages and depictions of mourning illustrate the similarities and differences between death and mourning now and in days gone by. There are also temporary exhibitions that go deeper into specific topics, often with artistic themes, and in that spirit the museum was one of the venues for documenta 14 in 2017. Almost everyone has heard of the Brothers Grimm and knows fairytales like the Frog Prince, Hansel and Gretel and Cinderella off by heart. But what fewer people know is that Jacob and Wilhelm Grimm were also noteworthy academics in lexicography and linguistics, and helped to found the field of German language studies. The museum about the brothers only opened in 2015 and is all about their work and lives. In the Erlebnisraum Grimmwelt, multimedia displays and interactive exhibits throw you into the world of their fairytales, but you can also find out about their contributions to the German language and attempts to write the first German dictionary. In the centre of the city between Königsplatz and Fulda, Kassel’s market hall is a treat for food-lovers. The gabled building has Renaissance Revival architecture and hosts Kassel’s central weekly market. This does business all day on Thursdays and Fridays and then on Saturday mornings. The market’s 70 traders have suppliers from all over North Hesse, Thuringia, eastern Westphalia and the southern regions of Lower Saxony. There’s much more to the market hall than just grocery shopping, as you can pick up specialty foods like homemade jams, olives, freshly baked pastries, artisan mustard and handmade pralines and chocolates. On Saturday mornings people come to the market’s eateries for breakfast, often paired with a glass of champagne! 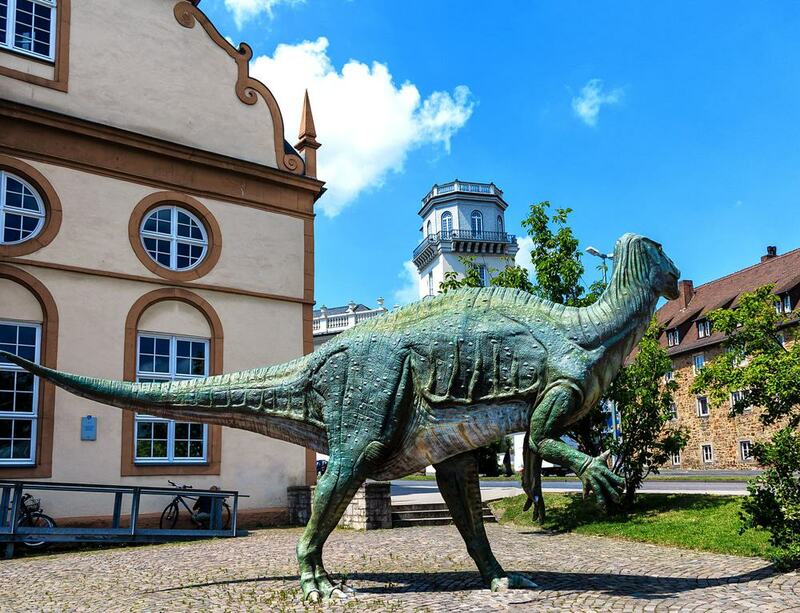 Kassel’s natural history museum is in a building with an intriguing story to tell. The Ottoneum is actually Germany’s first purpose-built theatre building, and dates to the start of the 17th century. The theatre only enjoyed one smooth decade before the Thirty Years’ War broke out. At the end of the century it was converted into a private museum for the Landgrave’s art and natural history collections. The attraction’s interest lies in the great age of its collections. Take the Ratzenburger Herbarium, which is 700 pressed plants in three leather-bound volumes from the end of the 16th century. The plants are grouped by species, predating Carl Linnaeus’ taxonomical systems. Another thrilling exhibit is the skeleton of an elephant that was lent to Goethe for his research on anatomy in the 1770s. The city’s museum reopened in 2016 and recounts the city’s highs and lows over the course of a millennium. The permanent exhibition is in three sections, in chronological order. The first explores Kassel’s origins and continues through its establishment as the capital of the Landgraviate of Hesse-Kassel in 1567 up to the 1700s. After that comes industrialisation and the rise of the bourgeoisie, covering the sudden urbanisation of the city at the turn of the 20th century. And the third section handles the widespread destruction of the Second World War, which claimed almost the entirety of the city centre. After that comes the reconstruction, and the cultural and economic rebirth thanks to documenta, the automotive industry and renewable technology in the 21st century.